Last week, for my birthday, one of my clients gave me a cactus they dug up from their Ranch out in the boonies of Texas. 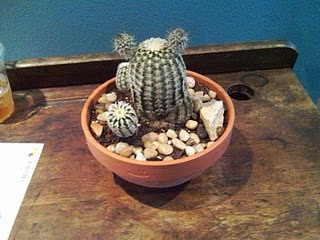 I loved it because it looked like it had Mickey Mouse ears. I woke up yesterday morning and the ears had BLOOMED! Didn't see that coming! 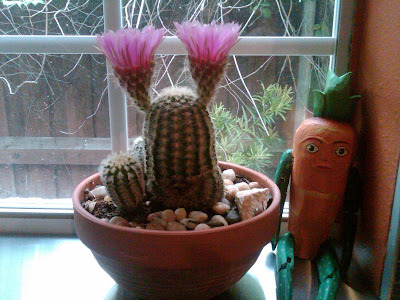 Now it looks like a prickly Grimace waving pom-poms.